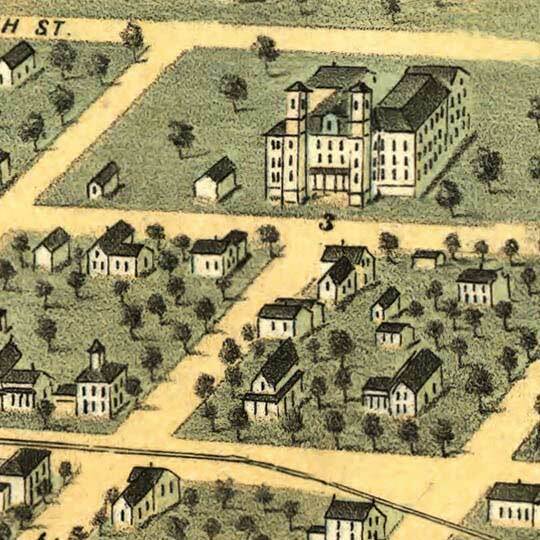 A. Ruger's Birdseye map of Mankato, Minnesota in 1870. 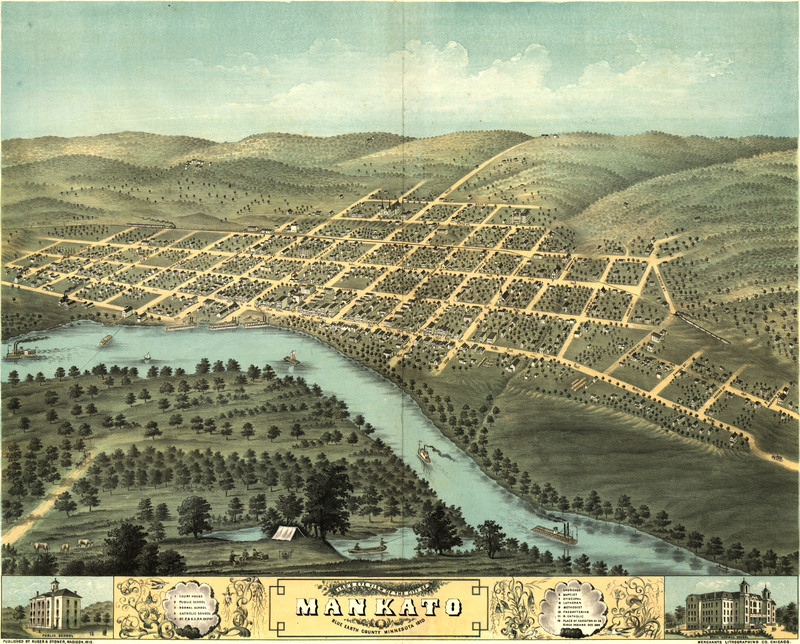 Al Ruger depicts Mankato, Minnesota [gmap] as a busy riverport on the Minnesota River. All types of riverine activities are happening. Steamboats and pole-boats of all shapes and sizes; and what appears to be a tethered ferry? Mankato lays claim to some part of the biography of Sinclair Lewis; though to be fair, a lot of places seem to (and with good reason).